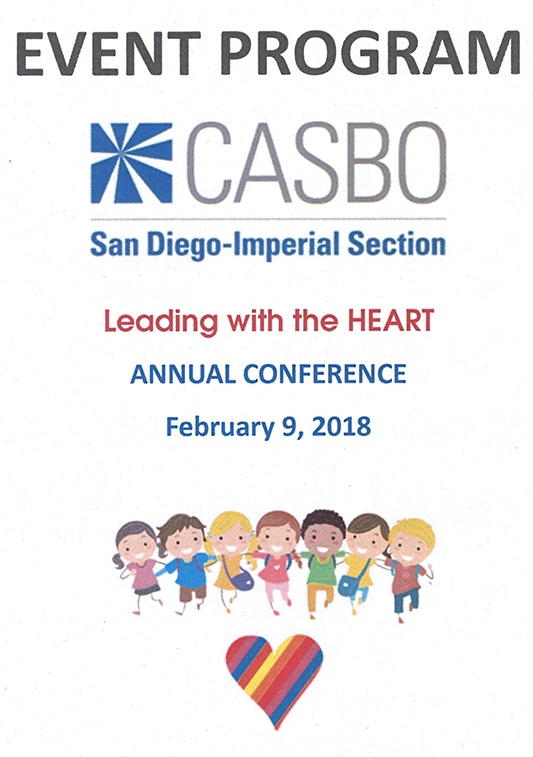 Earlier this month I had the opportunity of attending the CASBO San Diego-Imperial Section Annual Conference that was held at the University of San Diego. Arin Simonyan, Finance PAT Manager, planned on attending as well, but her plane was grounded in Sacramento due to fog, so I flew solo on this one! We had a table at the vendor show and I was lucky enough to see a few former customers from Oceanside and Grossmont USDs. Shelly Kruse, who is now at Carlsbad USD, stopped by to say “Hi” to Terri Hammond and Robin Fiske, her favorite customer reps from back in the day! Luis from Imperial COE also stopped by and mentioned how much he enjoyed the training that Carole Williams recently provided to them. In addition to having a table at the vendor show, I was able to attend a few sessions. In the morning I attended two sessions, one on SACS supplemental forms and another about audits. 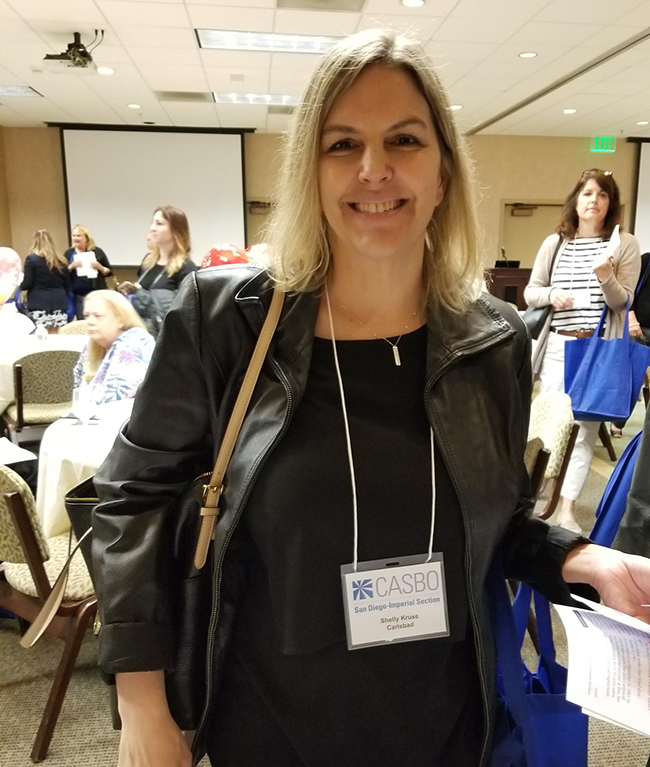 Before the audit session, the presenter, Heather Daud Rubio, Principal of Christy White Associates, said that as an auditor, she loves when she works with districts that use Escape because running reports is so easy, and they have all the information she needs! In the afternoon I attended a session about categorical program reporting, as well as a retirement session that discussed upcoming changes for PERS and STRS. We love attending these events to see existing customers and learn alongside them about important topics in California school business.